Shipping to USA only. No International sales. This item may be returned within 7 days of purchase at purchaser's expense. Item must be returned in same condition as you received it, including all paperwork, for full refund. Returns must have return authorization. 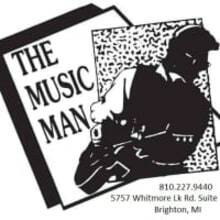 For return authorization contact The Music Man at 810-227-9440 or TheMusicMan111@aol.com.